You know, when it comes to these posts, I never know whether to post them just as an interesting question comes up, on the day itself, or to do “throwbacks” for more thought-provoking questions which I don’t have time to do an online reflection for. At first, ironically I had a hard time answering this one – the cliches just weren’t coming into my mind. I actually came up with the answer only because I saw it somewhere: Live in the moment. That is my favourite cliche for now, at this point in my life. I think we all worry way, too, much. I know, I know – it is so much easier said than done but I think we can all try. And a little improvement in letting go of anxiety about the future, brings us that tiny step closer to living happier. I think being a little spiritual makes living in the moment a little easier – you have faith that someone or something is looking out for you. You know that everything is going to be okay; you know if you don’t get something that you want right now, something better is going to come your way. And with this, you won’t worry so much about the future because you just know that it’s all going to work out in the end. Sometimes rappers have good advice. 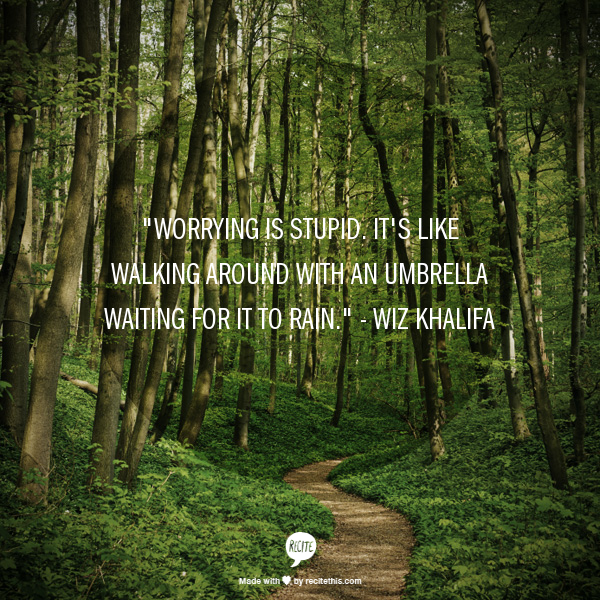 But besides not worrying, living in the moment heightens your experiences. When you throw yourself fully into something that you’re doing right now, you get to savour the moment for everything – every emotion, every of your five senses that it’s engaging. The monkey-mind isn’t thinking about what’s going to happen later, whether anyone has left you a Whatsapp message, what you’re going to eat for dinner later. 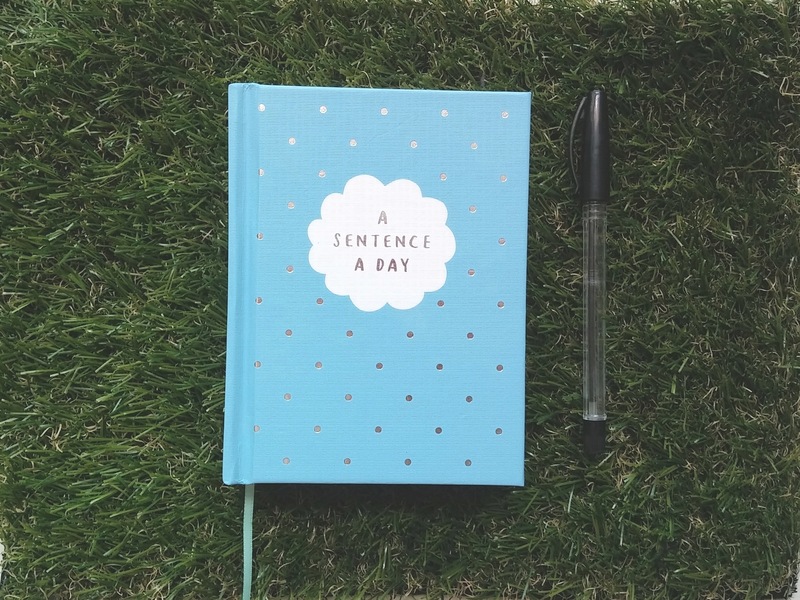 I’m sure everyone has gone through something like this before, when you were so engrossed in something you didn’t feel the need to check your phone for messages, to eat, to talk to anyone – wasn’t it wonderful for the mind to be 100% absorbed? Lastly, my one wish is for people to not chastise themselves for a “bad” decision saying, “If I had known I would…” – well that’s the thing, isn’t it? You didn’t know and would have no way of finding out. Nobody knows what’s going to happen in the future; you make the best decision you can based on all the knowledge you have right now. Acknowledge that if it turns out to be a “wrong move”, it is simply a lesson for you to learn. Don’t see it as failure or a mistake and beat yourself up for it – see it as something to learn from. I know it can be hard distinguishing between the two, I really do (been there, done that). The line is fine, but it’s there. And staying on the positive side makes decision-making a less worrying affair ;). I’m nowhere close to being able to automatically do this but at least I am aware and am trying, and that’s good enough for a start :). 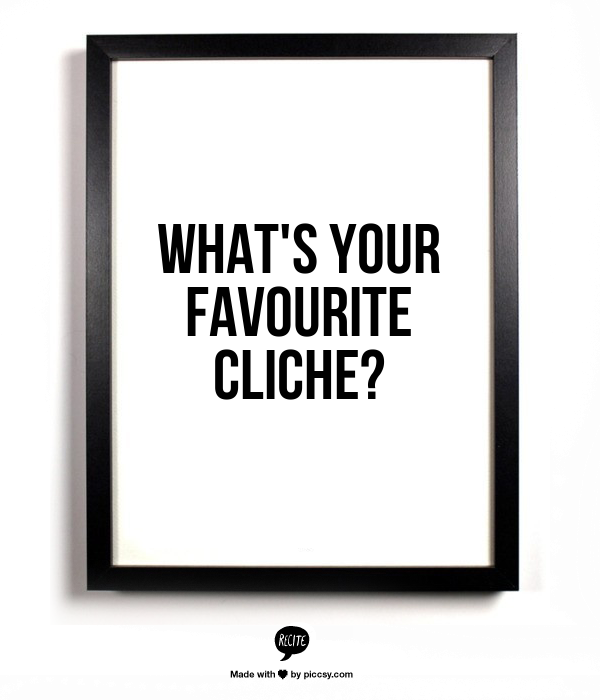 So, tell me, what is your favourite cliche? Bet you’d take a while to think of one. Haha.